As home is a biggest investment that you will ever make in your lifetime, make sure you take proper care of it. That’s why it’s important to choose a proper roofing material that protects your home and shields it from weather conditions efficiently. However, with a plethora of roofing sheets available in the market, it’s easy to get baffled and end up making a bad investment. So, before such situation comes in, here’s a look into some factors that will help you choose the best roofing materials. You might be wondering how the architecture of your building plays a role in getting you the best roofing sheet. But, it’s true. It’s highly instrumental in choosing you the best material. For example, asphalt shingles are compatible with most styles of homes, whereas tile roofing may be a suitable option for the style of historic homes. However, UAL’s AC sheets like Konark Surya Jyoti can be used in any kind of home, be it in a rural or urban area. These are ideal for commercial buildings as well. Made from the best quality Portland cement and imported natural mineral fibres, Konark Surya Jyoti is ideal for any kind of construction. The selection of roofing material also depends on its usage. The material you will use to cover a brand new structure will be different from the ones used as an addition to the existing structure. With new roofs, you will have ample of opportunities to choose from different products. But, when you are using it as an addition to an existing structure, you do not have much choice. 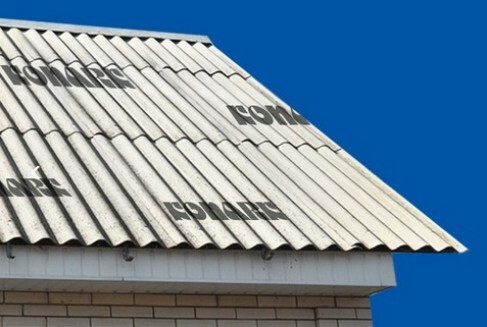 Your choice is limited to existing components, such as roof materials currently on the roof. While choosing the material for repairing an existing structure, consider the underlying roof structure composition, roof pitch, and so on to find the perfect product. However, with Konark Surya Jyoti AC sheet, you do not have to deal with such issues. You can effortlessly match it with anything. It’s a prime consideration because mass of the AC sheets isn’t exactly a determinant of the strength and durability of the product. For example, Konark Surya Jyoti by UAL Industries is lightweight compared to the conventional items available in the market. But, it has a higher level of load bearing capacity. As such, it’s a vital factor to consider as it could have adverse effects on your home’s entire structural integrity. While choosing a roofing sheet, you need to keep in mind that it should be sturdy enough to protect your home. On the other hand, your home should be structurally sound to bear the overall heft of your roofing material of choice. Energy efficient roofing systems are becoming quite popular because of the cost savings they provide. That’s also a secret behind the popularity of Konark Surya Jyoti AC sheet. The high thermal resistance and mass of UAL’s AC Sheets help in maintaining optimum temperature in the interiors, reducing the use of heating and cooling equipment that mostly consumes a lot of electricity. Energy-efficient sheets deliver substantial long term savings in your energy bills. These are green alternatives to any conventional sheet that provides environmental benefits as well as promotes recycling and less usage of hazardous toxins. In fact, choosing a roofing material entails a plethora of considerations. So, consider your purpose thoroughly before you make an investment for roofing material. Summary: With a plethora of roofing sheets available in the market, it’s easy to get baffled and end up making a bad investment. So, before this situation comes in, take these factors into consideration.